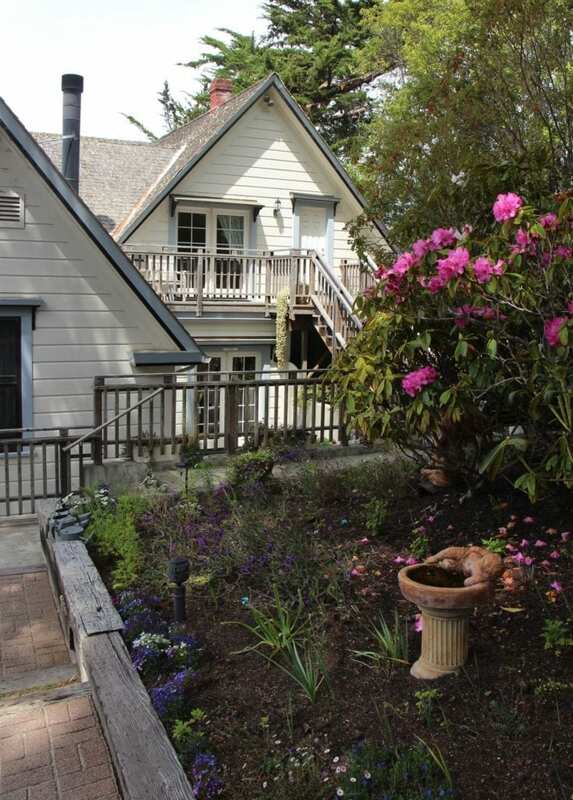 Driving north on Highway One to Mendocino, you could easily zip right past Dennen’s Victorian Farmhousein Little River. After all, it’s hard to take your eyes off the view to the west with the waves crashing into the headlands and the vast sea of blue stretching across horizon. 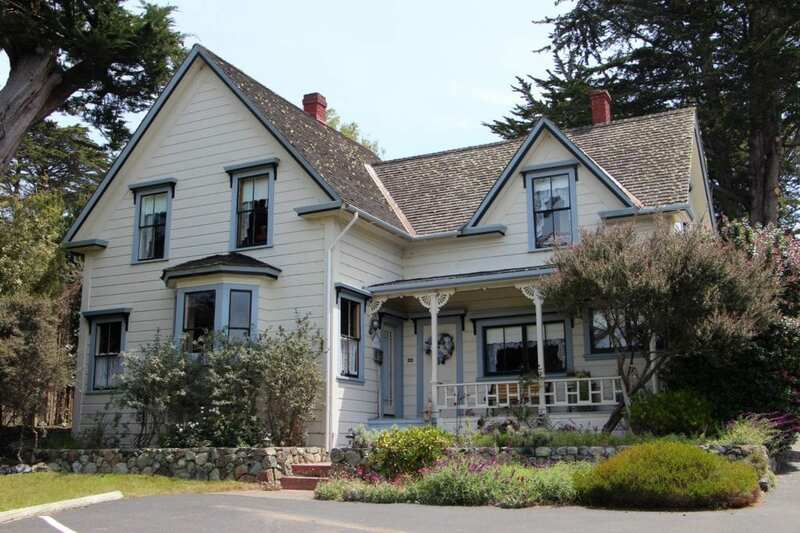 But on the east side of the road, less than three miles south of Mendocino Village, sits a picture-perfect Victorian farmhouse that’s worth the stop. When Jo Bradley and her husband Fred Cox bought the inn 17 years ago, it was in serious disrepair, but they have since painstakingly restored the buildings, the gardens, and the riparian corridor running along the south side of the property. Birds and native wildlife have returned to the grounds. 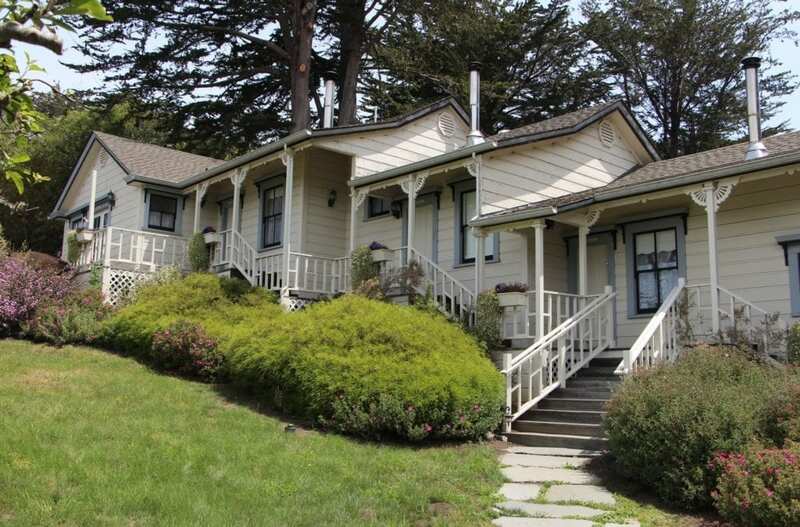 They put the historic main house back to its original footprint, updated the home’s systems and bathrooms, and commissioned woodworkers to custom build furniture to match the original redwood trim of some of the guest rooms. The Garden Room with its beautiful antique bed. Foregoing the brick-a-brack typical of Victorian inns, the rooms are uncluttered in their décor, but are still handsomely furnished to reflect the period: beautifully hand-carved wooden beds, gorgeous antique armoires and dressers, Victorian lamps and chairs, rich fabrics, and plush rugs. Surprisingly, the room rates are on the lower side for the Mendocino coast, but Jo spares no expense in the details. Everything in the rooms—the high thread-count linens, featherbeds, cozy robes, oversize towels—have been hand-selected by Jo to meet her exacting standards. She only chooses items that “pass the muster,” she says. There are 10 rooms total: four inside the historic main house and five cottage-style rooms were which were built in the 1980s as an extension from the original carriage house. 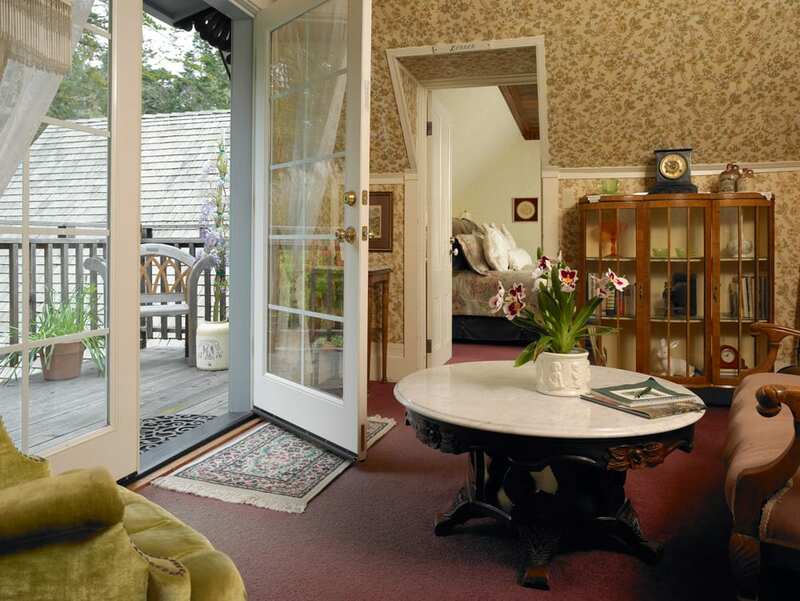 The inn also includes a restored, 900-square-foot, free-standing cottage which was originally built in 1877. Most of the rooms have wood-burning fireplaces; some also have Jacuzzi tubs and/or ocean views. A full gourmet breakfast is delivered to the rooms each morning for guests to enjoy in the privacy of their own rooms. Breakfast might include quiches, strata, omelets, frittatas, pancakes, crepes, waffles, or eggs benedict prepared five different ways, all served with fresh, organic fruit. In the kitchen, Jo’s repertoire includes gluten-free, lactose-free, vegetarian, and vegan cooking. One of her signature desserts, a vegan chocolate cake, is a recipe which was given to her years ago by her best friend. 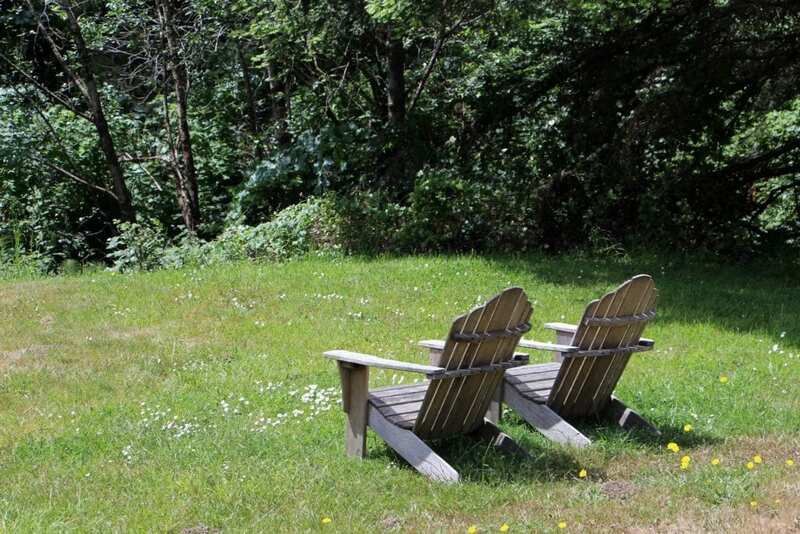 Across the road from the inn, guests can walk down to a secluded cove teaming with beautiful tide pools and rock formations. Less than a half mile away, Van Damme State Park offers sea kayaking in a protected cove and hikes though a redwood canyon dripping with ferns. The upper reaches of the park offers a self-guided interpretative trail through a pygmy forest where ancient cypress and pine trees stand just a few feet tall. Mendocino Village, with its notable collection of restaurants, shops, and galleries, is just a couple miles up the road. The second and fourth photos courtesy of Dennen’s Victorian Farmhouse andEric Zepeda Photography. All others by Ranee Ruble-Dotts for CABBI.